Is the nurburgring time right? I just did a 7:59 on gran turismo in a bone stock r34 gtr. The Nurburging Time is 7.49 right? Yeah this aint doing no 12.2, I should no. Its probably pretty simple. Do some research on GTR forums and I'm sure you can find a quick fix for the limiter. I've removed limiters from various 90's model nissans with simple & free tricks. You probably just need to clip a wire or change out a resistor. Of course you could go the expensive route and buy a piggyback ECU or reprogramer. I'm aware of the Z-tune. THat car has no bearing on what I was talking about though. 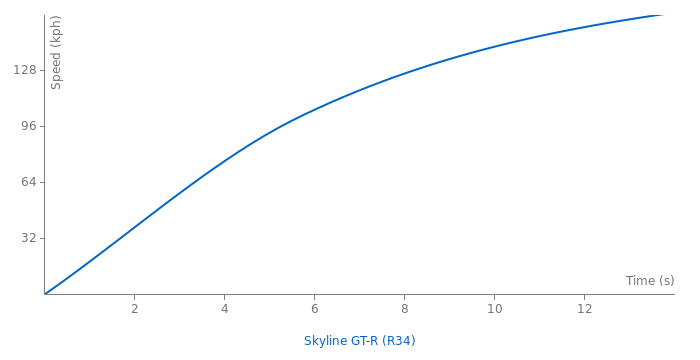 The base R34 GTR (discussed here) will not run a sub 7:50 time around the ring in stock form with the limiter removed. The Z-tune could probably do it, but there's no proof it has. If there's any group that can drive the base R34 GTR to its potential (and beyond as they like to exaggerate things) it's Best Motoring. Look at the cars that were quicker than the GTR (with all of them being driven by BM) on small tracks like Tsukuba, where the GTR would really shine. It's slower than the 993 GT2 at Tsukuba and Suzuka. Now, I'm almost certain the GTR would never go over 110 on a track as small as Tsukuba and its AWD system would be at its prime on a track with such tight hairpins. And yet it's slower than many cars, including the 993 GT2. There's no doubt the GTR would be faster without a limiter, but I don't think it would be that much faster. Also, the quick time you're talking about is the 8:01 V-spec R33. And it's a well known fact that the car had weight and power differences, as well as the limiter removed. SO yeah, unless I see proof, a 7:49 is BS. @Apathy: fastest road legal Skyline is the R33 driven by Reece McGregor that did a 7.57 @ 197mph so there you go. The Nurburgring time posted is 100% accurate. 7:49 is highly unlikely. Dan W, if you were aware of how powerful engines can be tuned to, you would not tote the R26 as so great. You think 1600hp makes it the second most "tunable" engine ever? Yeah it's damn impressive, but let me know if the GTR ever makes over 2000hp or runs anything quicker than a mid 7 at 180mph. Did you know the 4.6l DOHC ford cobra motor has seen over 2000hp and run a 6 second quarter mile at over 210mph? Did I mention that was done using the stock block, crank, and heads (they were ported). There is MUCH more out there than the dated JZ and RB series. the nurburgring record for an r34 is 7.49, cars in japan are restricted to 180kph(112mph) from factory, delimited though and it can do 155 - 165MPH, it weighs 1560kg. The rb26 engine is widely regarded as the 2nd most tunable engine ever(behind toyota supra 2jz), it can be stoked up to 3.2 litres and has been know to output 1600hp and 13,000rpm! i run tha lap at 25 seconds flat but never recorded bacause they all drop their jaws whe i crossed the line, then directly went outside. 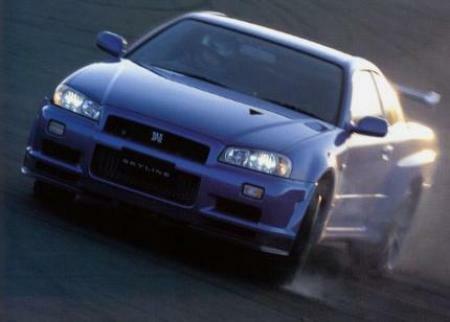 First of all, the R34 GTR internally known as BNR34 was released in 1999, NOT 1998 as stated. Second to that, the 0-60mph time is incorrect as is the weight of the vehicle. It weighs 1540 KG. It just gets me wondering where people find facts like this?? This link has a stock R34 doing 13 flat in the 1/4 mile, although I've seen 12.9 as well. I agree, the R35 is too radical. The older cars make it look ugly, at least from the front. Can't argue with the areo though, so it's not really a bad thing.